Why Do M'sian YouTubers Only Stay In M'sia? One Reason—They're Afraid. 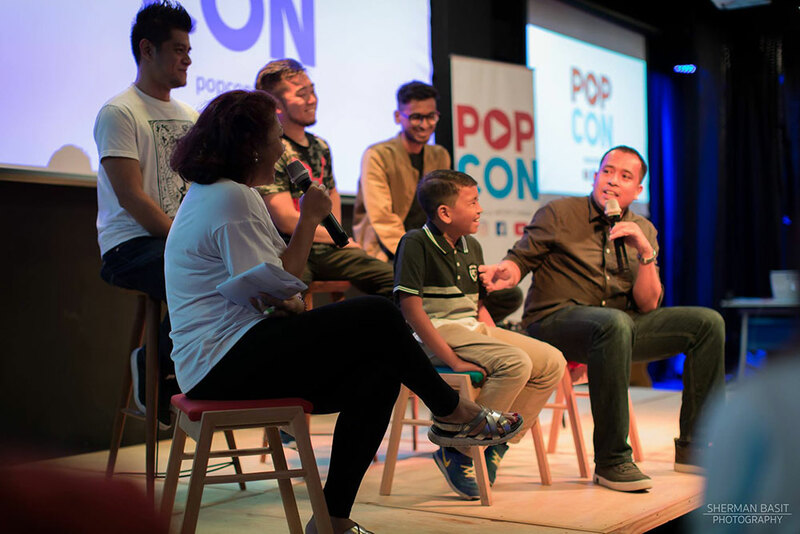 PopCon is a platform that aims to bring together Malaysian content-creators (YouTube, Instagram, etc) to engage in idea-sharing, learning, and project collaborations. 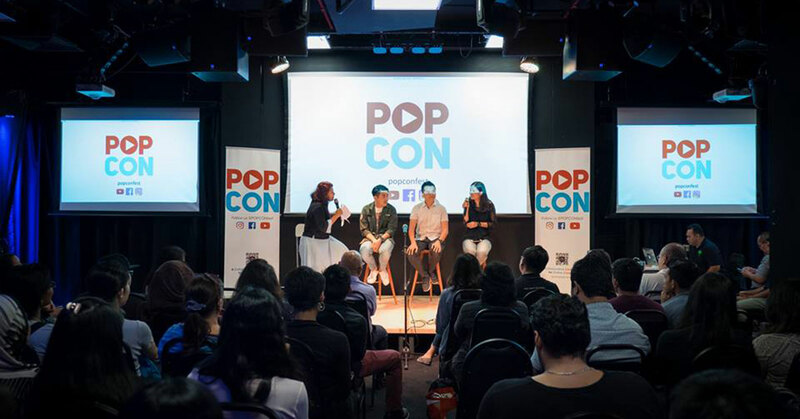 Founded in December 2017 by five friends with content-creator backgrounds, PopCon now hosts talks, workshops, and gatherings to help educate content creators from all platforms about filmmaking techniques, marketing strategies, and provide industry insights. It would have been almost absurd just over 10 years ago to think that making YouTube videos or becoming a social media influencer could be a viable career path. But over the past few years, these conceptions have been flipped on their heads. All around the world, individuals and groups of people (such as Fine Brothers, WongFu Productions, and PewDiePie) have made names for themselves as the appetite for online media content continues to see a healthy uptick. In Malaysia, this is no exception, with local creators such as Jinnyboy TV, Grim Film, and Luqmanpodolski just some of the names making a living off the demand for share-worthy online content. Not limited to only filmmakers or creative types, businesses have also benefited from the demand, with more of them using social media to market their offerings. Hoping to help Malaysian content creators come together and up their game, five friends—each one a content creator in their own right—banded together to create PopCon, a platform founded on their desire to improve their craft and connect with other like-minded individuals. 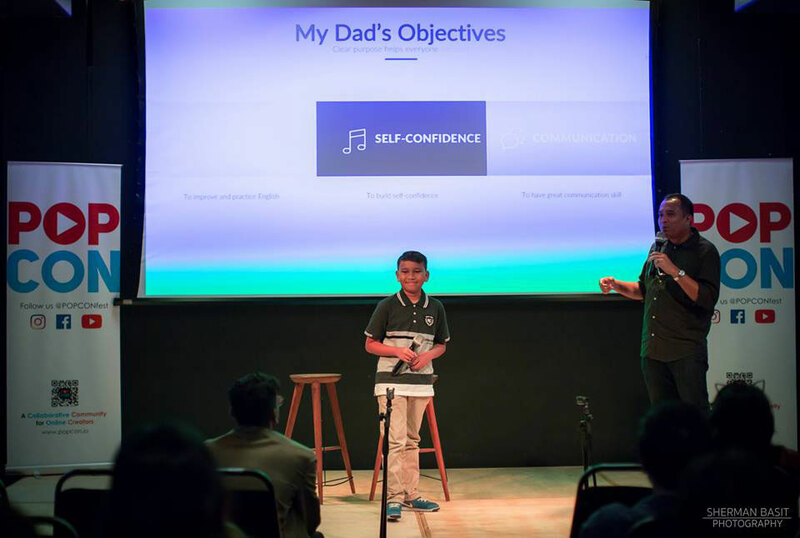 “The idea came in December 2017 while I was contemplating creating my own video content to promote my business online,” said co-founder Yandaro Al-Amien, a corporate trainer and entrepreneur who dubs himself the “Chief Kepala Otak Officer” of PopCon. After attending multiple classes on social media and filmmaking, Amien sought to connect with other filmmakers and creators on the web but failed to find such a community. That was when he and a few other friends decided to start one of their own. “We were like f*** it! 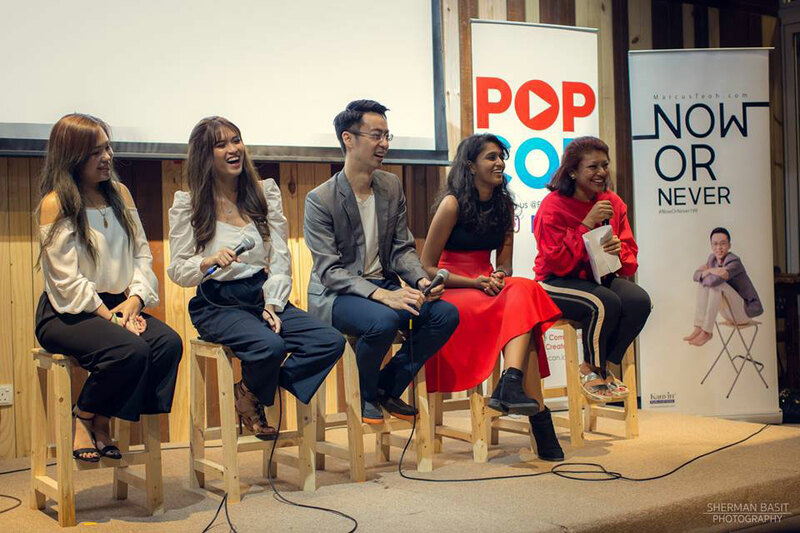 Let’s build our own community and collaborate with everyone,” said Nina Shahril Khan, another co-founder and “Chief Pimping Officer” of PopCon. In line with their objectives, PopCon now organises various community-focused activities focused towards Klang Valley creators such as talks, workshops, and seminars where content makers—both aspiring and seasoned—come together to exchange ideas and share their experiences. So far their events have seen filmmakers, influencers, and industry players such as Vikarworld and Gushcloud all make appearances as contributors and speakers, with topics such as smartphone filmmaking and vlogging among those covered. “These have been super insightful sessions where our attendees have picked up tips and hacks on how create better content, learn about the industry, and social media branding,” Nina said. Talking about some of the success stories, Nina and Amien recounted how a number of up-and-coming YouTubers were given the chance to connect with Wau Studios—the creators of Ejen Ali—and how another business owner was able to finally start her content-creation journey after attending one of their workshops. When asked about some of the issues plaguing Malaysia’s content-creation scene, Amien and Nina shared similar views in that while local creators were in no lack of talent, too many of them were too afraid of being critiqued, or even worse, made fun of. “We have a disease called ‘takut apa orang lain kata’ (afraid of what others say) or ‘takut kena kecam’ (afraid of hate/ridicule),” Amien said. “And as for the more experienced ones, it’s interesting to find out that we’re very much thinking of becoming a big fish in a small pond rather than making it big outside our own circle,” he added, alluding to the hesitance of local creators to expand beyond the confines of the Malaysian audience. “Honestly after speaking to so many local content creators—even the established ones—we find it quite surprising that our creators seem to think that they can only grow as far as Malaysia and not beyond it!” she quipped. Well aware what needs to be done, the PopCon team’s current focus is overcoming the segregation present in among Malaysia’s content creator community in order to facilitate an unrestricted sharing of knowledge. 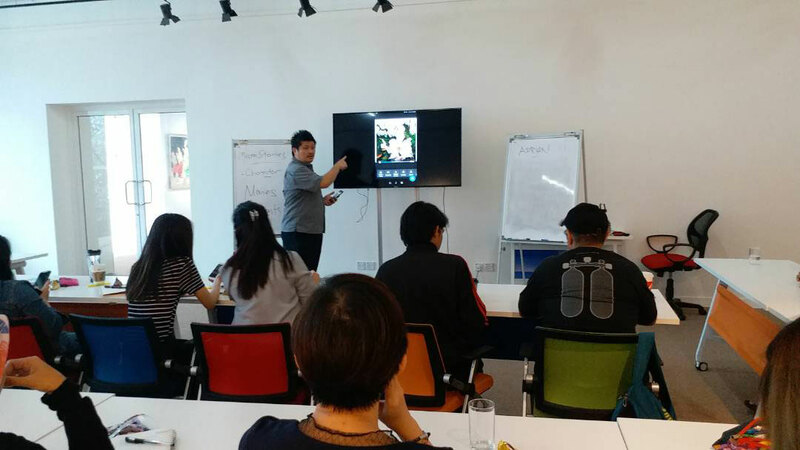 According to Amien, Malaysia’s content is split mainly between the English-speaking Chinese (or Bananas), Mandarin, and Bahasa-speaking community. “We’re very segregated. As a Malaysian, I feel there is a big gap of knowledge between the three,” he said. Moving forward, PopCon will look to also cater towards business-oriented creatives by holding regular branding and marketing talks. They also hope to organise a full content conference called ConCon sometime in 2019. “It’s only been five months and yet we’ve met so many amazing creators and people from the industry who are all making an impact,” Nina said. To see what other activities PopCon has planned, head on over to their Facebook group. Alternatively you can visit their website or YouTube channel.